COMBINES WATER, HEAT, AND MOTION TO CREATE A UNITQUE RELAXATION EXPERIENCE. MASSAGES BODY FROM HEAD TO TOE AND STIMULATES BLOOD FLOW. COMBINES WATER, HEAT, AND MOTION TO CREATE A UNIQUE RELAXATION EXPERIENCE. MASSAGES BODY FROM HEAD TO TOE AND STIMULATES BLOOD FLOW. 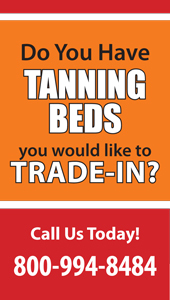 usedbeds.org is your online source for Used Tanning & UV-Free Beds and more!